This summer, A-level physics student, Matilda Smith-Cornwall, from Peter Symonds College in Winchester spent several weeks working on a research project at ICG through the Nuffield Research Placement Scheme. 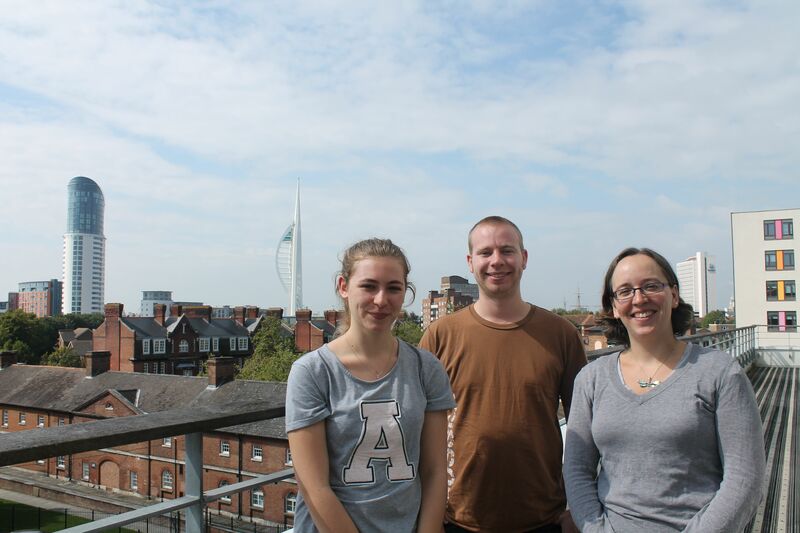 Matilda worked on a project looking at how the strength of spiral arms (as identified in the Galaxy Zoo citizen science project) correlate with the star formation properties of disc galaxies in the local Universe. She was supervised by Tom Melvin, a final year PhD candidate at ICG, with remote supervision from Dr. Karen Masters (who was spending the summer in the USA). Matilda said she really enjoyed the experience and that it has been really useful. She is in the process of writing up her results to present at a celebration of Nuffield Placements in London and the South East being held later this year, and hopes to use the work as the basis for extended project at her school. Below, Matilda, Tom and Karen are pictured at a wrap-up meeting held earlier this week. 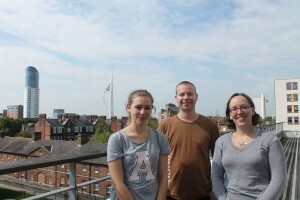 Matilda Smith-Cornwall, Tom Melvin and Karen Masters on the ICG Balcony.